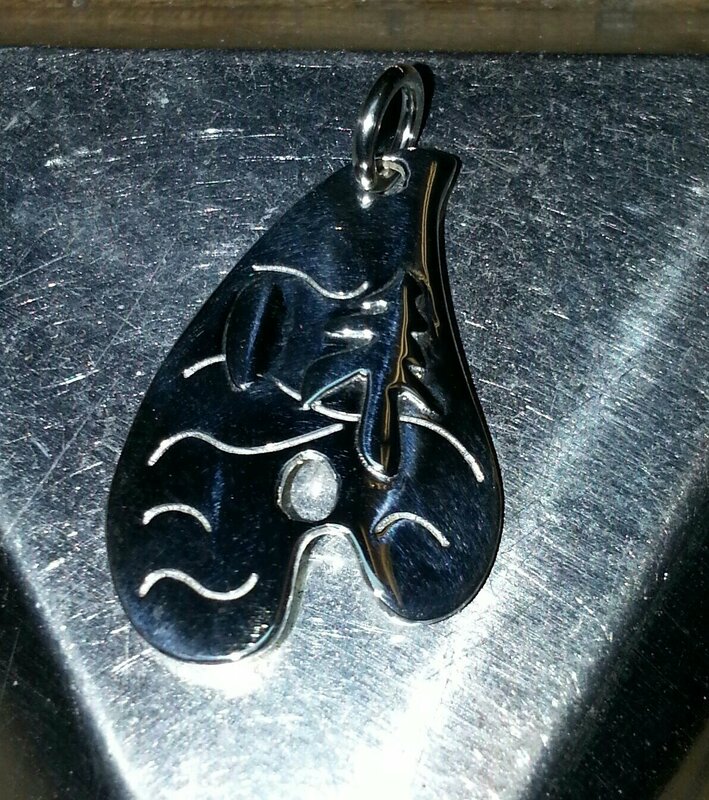 I had an idea to make a pendant that could double as a fishing lure if required. Over the past month, I designed it and made it. 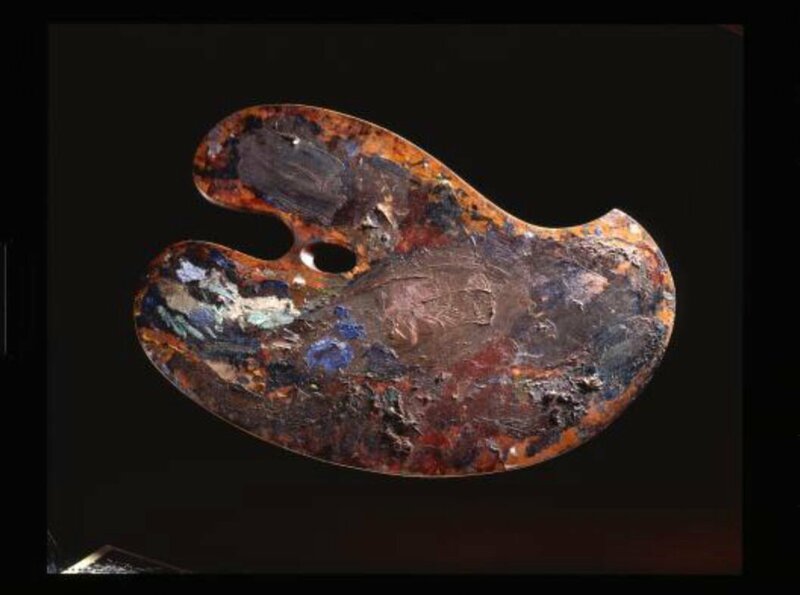 I drew the inspiration from the shape of my palette. 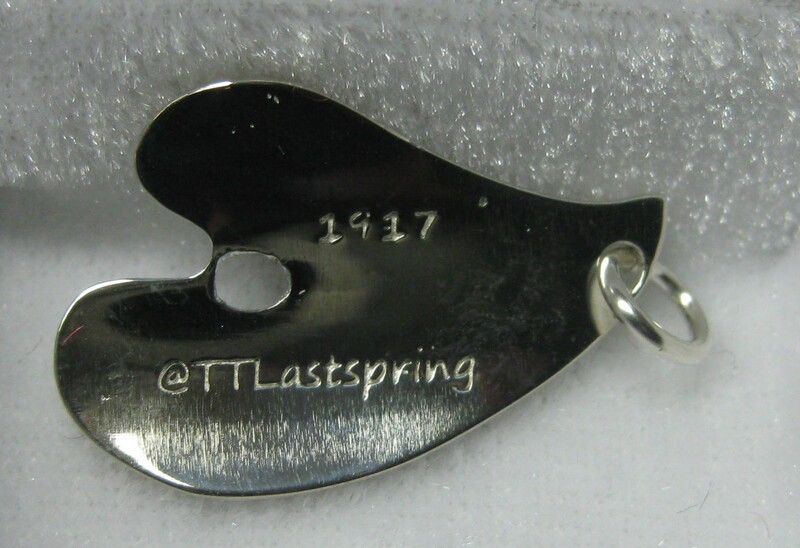 The idea I had was to create an authentic looking pendant that was originally fashioned as a trout lure, but then re-purposed into a pendant as an impromptu gift to Winnie Trainor during our very last time together. It’s based on the type of fishing lures I made from the old discarded spoons from Mowat Lodge. As you can see, there is a darn good story here, I just haven’t told it yet. It will come. Let me know what you think. So far this pendandt is one-of-a-kind. But if there is interest, I may make a limited series. All I will ask for is a fair price to cover my cost and time. What you will get is a piece of original jewellery made by Tom Thomson’s ghost and a good story to tell too.